Our Christmas Grotto has a well-deserved reputation for being absolutely magical. 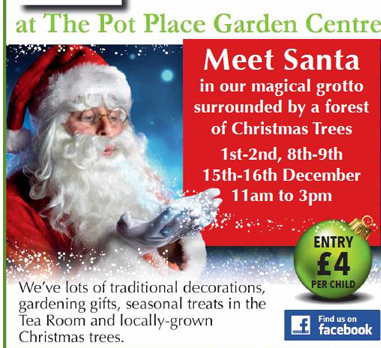 Santa will be here between 11.00am and 3:00pm on Saturdays and Sundays from Saturday 1st December until Sunday 16th December. Come and take a walk through our enchanted forest to see Santa and his Elves for just £4 per child including a Christmas activity bag. To keep it special, we limit numbers so please pre-order your tickets in our gift shop. We have plenty of Christmas greenery on sale, from locally-grown Nordman trees to a selection of natural wreaths and garlands. As you’d expect, we also have a stock of seasonal plants including cyclamen in all shades from white to darkest red and a selection of hellebores (Christmas roses) for your garden too. 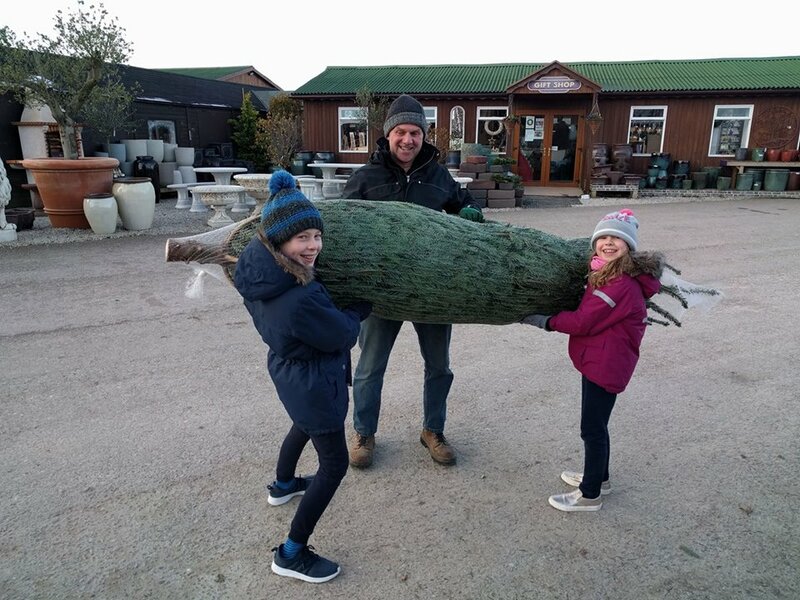 Pick out your tree, ensure you have all the decorations that you need and then we’ll help to get it into your car for the journey home! 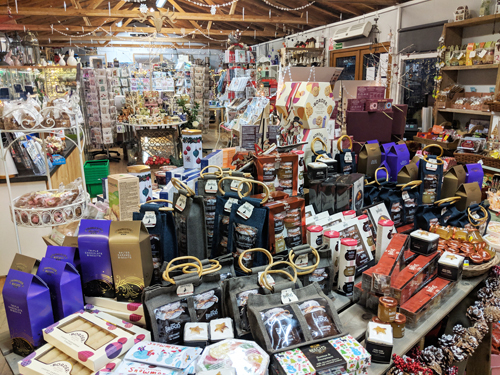 Ahead of Christmas, we stock even more local food and drink and the staff in our Gift Shop are happy to make up hampers as special gifts. Simply choose your items and we’ll do the rest – a unique gift. And we’ll be serving Christmas treats in our Tea Room from Saturday 1st December too. Every year, the staff in our Gift Shop transform the extension into a festive wonderland of decorations from around the world. 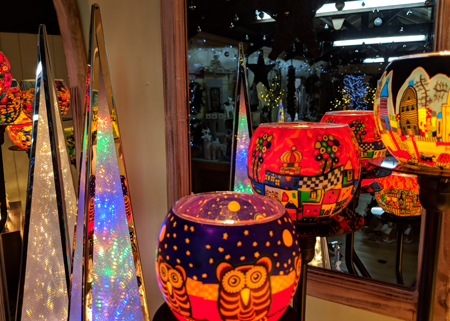 Some of them you won’t find anywhere else in Cumbria and there’s a huge range of styles and colours (as well as prices) so it’s well worth exploring. We love Christmas and enjoy creating something a bit special for our winter visitors of all ages. There’s everything that you’d expect for a traditional celebration and a few unusual treats and unique ideas of our own too.